No other magazine about money would ever have been reviewed or mentioned in places like RayGun and Factsheet Five. Green prided itself on not just the information being presented but the way it was presented—with language and images that would resonate with people who hated personal finance magazines like Smart Money or Worth or Kiplinger’s. Jason Cohen and Michael Krugman, the authors of Generation Ecch!, had a similar vibe to their book, which like Green was illustrated with alternative comics. 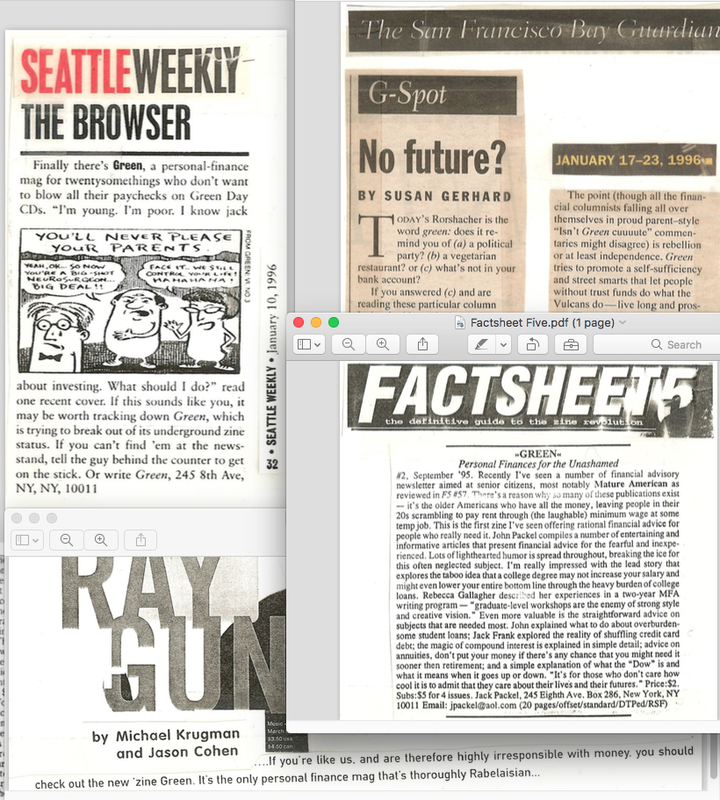 In RayGun, they wrote that Green was “the only personal finance mag that’s thoroughly Rabelaisian.” The small illo from Green in the Seattle Weekly clip is by the great Ivan Brunetti and Generation Ecch! used Evan Dorkin, a favorite of John Goodman, who once showed this book on the cocktail table on Roseanne.